Indian Prime Minister Narendra Modi is set to attend an informal meeting of BRICS leaders expected to last for about 45 minutes. 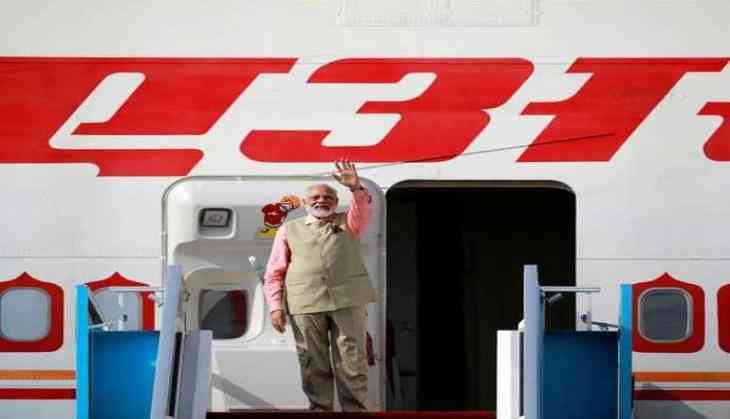 The Prime Minister will thereafter leave for the G-20 Leaders Retreat where the topic of discussion is likely to focus on 'fighting terrorism'. Prime Minister Modi is likely to hold bilateral meetings with several leaders, including Prime Minister of Japan Shinzo Abe and South Korean President Moon Jae on the sidelines of the G-20 Summit. Thereafter, he will take part in G-20 sessions like 'Global Growth and Trade', 'Sustainable Development Climate and Energy', 'Partnership with Africa, Migration and Health' and 'Digitalization, Women's Empowerment, Employment'. Russian President Vladimir Putin is expected to take part in two official G-20 sessions and one informal meeting to discuss political issues, such as global terrorism and the situation in the Middle East. He will also hold talks with the leaders of the BRICS group of nations, comprising Brazil, Russia, India, China and South Africa, TASS reported. German Chancellor Angela Merkel will officially welcome the G-20 participants and the members will gather for the first session on global growth and trade. The two-day meeting between the 19 most important industrial and emerging economies in the world, including the European Union will begin with a discussion on the fight against global warming. U S President Donald Trump and Russian President Vladimir Putin will skip the discussion on global warming to have a formal meeting with each other instead where they will be discussing Syria and more issues. German Chancellor Angela Merkel suggested on Thursday evening that officials would have two long nights ahead of them as they attempt to settle on a declaration wording that all parties can agree on. "The negotiations are not easy," DW quoted Merkel, as saying. Disagreements are bound to exist between the participating nations, not only on climate change policy, but also on world trade and migration.